Why there are agunot in the 21st century, and what you can do about it. Many people have some understanding of the issue of gender inequality in Jewish divorce, and many have seen how it has affected friends and family going through divorce. The story of agunot, women denied a divorce under Jewish Law, or subjected to extortion in order to be granted a divorce, is a story about a distinctly Jewish form of domestic abuse. It’s a problem that our community needs to better understand, and that our community needs to address. When Jews in America marry in a religious ceremony, they do so under two legal regimes – the civil laws of the state and Jewish Law. For adherents to the Conservative and Orthodox movements, when they divorce in a state court, only the civil marriage is terminated. If they wish to be free to remarry under Jewish Law, they must go to a Jewish court to dissolve the marriage. But Jewish Law and American law have very different conceptions of who has the right to end a marriage. Divorce-on-demand under secular civil law is a fairly novel innovation. The first divorce in Massachusetts was granted in 1629, but divorce was rare, expensive, and achieved only through passage of an act of the legislature, which served to dissolve only that particular marriage. Initially, it was only available on grounds of adultery, and only adultery of the wife. After the Civil War, divorce and desertion increased dramatically and became unwieldy for the legislature to handle. Jurisdiction over divorce gradually passed from the legislatures to the courts, and the range of grounds expanded to include things like cruelty, abandonment, and impotence, and these grounds could be invoked by wives as well as by husbands. Beginning in the 1970s, states across the U.S. also developed a no-fault option, allowing parties to divorce at will, based on their subjective perception that the marriage had failed, without having to demonstrate some moral failing on the part of the other spouse. New York was the last to enact this in 2010. Civil law also includes a right to be granted a divorce over and above the objections of the other spouse. In Massachusetts, for example, one spouse can apply for a divorce based on irretrievable breakdown of the marriage without the agreement of the other spouse (MA General Law 208. S 1(b)). American laws dealing with property rights and custody as it pertains to divorce have also changed. In the 19th century, married women had few rights to property and limited custodial rights. In our grandmothers’ day, spouses walked away from marriage only with property to which they held title. Over recent decades, American family law has become a system in which men and women have an equal right to ask for a divorce, rights to an equal share in assets accumulated over the course of a marriage, and an equal right to receive custody of children according to a civil court’s determination of the best interests of the child. Jewish Law has not experienced a similar transformation to become more egalitarian in process or substance. It is important to understand a key distinction from American law. In America, a divorce is granted by a court. Under Jewish Law, a court does not have this power. Only a husband can grant a divorce, and he must do so willingly, without improper coercion from the court or other sources. The beit din can summon him to appear, can hear evidence on his misconduct, and can issue orders instructing him to give the get, but they can’t do it for him. If he refuses, the court and the wife are stuck. Rabbinical courts in the Diaspora lack formal enforcement powers beyond those explicitly granted to them by the parties under arbitration agreements. Even where rabbinical courts make orders against a recalcitrant spouse, the mobility and anonymity of modern life in America make it easy to avoid suffering from any halakhic or communal sanctions. There is, however, no corresponding prohibition on pressuring women to accept divorce on unfair terms. Since the 11th century, women cannot be divorced without their consent, but this consent can be coerced, and can even be dispensed with if the wife is found to be refusing to accept a divorce unreasonably. A divorce can be deposited with the beit din for her, and the husband permitted to remarry a second wife. Women, particularly young women of childbearing age, have a greater incentive to be Jewishly divorced. Should a man remarry civilly or father children out of wedlock, these children are considered legitimate under Jewish Law. However, if a woman has children with another man while still married to her first husband, under Jewish Law, the children are illegitimate mamzerim who are unable to marry within the Jewish community. This status is inherited by all their future descendants. Moreover, if a woman is subsequently divorced, the rabbinical court may forbid her to marry her lover because they committed this sin together. In practice, these factors combine so that rabbinical court proceedings can enable the husband to use his power to withhold the divorce as an “unfair bargaining endowment” to coerce the wife to surrender her rights and those of the children in order to receive a get. These kinds of negotiations, where men seek to use their power under Jewish Law to regain rights won by women in the 20th century under civil law, look very different when reviewed by civil courts. In several American cases, wives have successfully sued to recover money and property they had given their husbands under duress in order to receive a get. These women got back the extortionate payments they paid, but the record does not show what happened to the get. In some Israeli cases, rabbinical courts have retroactively invalidated a divorce given on condition of the wife paying off the husband. The mission of the HBI Project on Gender, Culture, Religion, and the Law is to support research on resolving conflicts between women’s rights and religious laws. My own research assesses the innovative approaches that states, Jewish feminists, and forward-thinking rabbinical authorities are promoting to address the agunah problem. I also study how threats of get refusal effect how American Jewish couples negotiate divorce disputes over property and custody. In spring 2015, we are delighted to be hosting three scholars-in-residence and many visiting speakers for a term-long exploration of “New Approaches to the Agunah Problem.” In this issue of 614, the scholars share insights from their works in progress. If you are in Boston, please join us at the seminar. Please read on and join us at Brandeis to learn more about get-based domestic abuse and how scholars, activists, and community members can work together to eradicate it. Lisa Fishbayn Joffe is director of the Project on Gender, Culture, Religion, and the Law at the Hadassah-Brandeis Institute of Brandeis University. She writes on issues of gender, multiculturalism, and colonialism in Jewish family law and African customary law. Her publications include Gender, Religion and Family Law: Theorizing Conflicts Between Women’s Rights and Cultural Traditions (with Sylvia Neil, Brandeis University Press, 2012). She holds law degrees from Osgoode Hall Law School and Harvard Law School, and has been a visiting scholar at the University of the Witwatersrand and Harvard Law School. She was a lecturer in law at the Faculty of Laws, University College London, as well as a member of the Pan Commonwealth Expert Group on Gender and Human Rights. 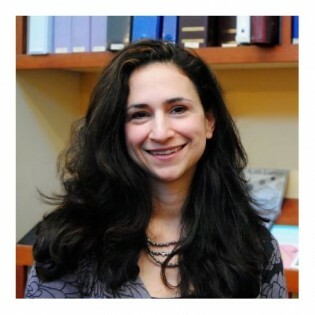 She is co-editor of the Brandeis Series on Gender, Culture, Religion, and the Law.